SEOUL, Oct. 21 (Yonhap) -- The homegrown comedy film "Luck-Key" has topped the local box office for the past eight days since it opened on Oct. 13. It drew more than 2 million viewers during its first running week. The film starring Yoo Hae-jin is hardly worth a spot in international film festivals, but it's certainly good natured and even in some places wildly entertaining if you can connect with the characters. Hyeong-wuk (Yoo), a heartless killer who has never failed in a mission, drops by a public bath after handling a recent request from a client in order to wash out blood splattered on the end of his sleeve and on his wrist. Then he slips on a bar of soap and hits his head, which results in total memory loss. Present at the same place is Jae-seong (Lee Joon), a no-name actor who decides to kill himself to end his penniless existence. He visits the bath to allow himself one last extravagance. But seeing the apparently rich guy fall unconscious, Jae-seong's desire for a better life prompts him to switch locker keys with Hyeong-wuk. Because of the switched keys, Hyeong-wuk starts living a life of poverty while Jae-seong gets his penthouse, import car and all the money he wants. 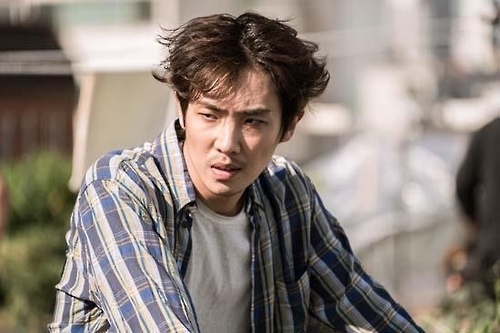 Hyeong-wuk falsely identifies himself as 32-year-old Jae-seong based on a health insurance bill that was inside the pocket of his shirt and tries to adapt to his new life as a no-name actor. The film constantly offers laughter to viewers during its 113-minute running time mainly through the contrasts between the two main characters, including their personalities and economic status. Hyeong-wuk is a serious and immaculate person while Jae-seong always messes up his room despite his out-of-sight appearance. It's also exciting to see, although Hyeong-wuk has completely lost his memory, his body remembers all its abilities. This creates one of the film's most comical moments -- where he shows his skills with a knife by carving flowers out of pickled radishes and slicing rice rolls ultra-thin while working part time at a neighborhood snack bar. He later makes it as an action movie star using his expertise in street fights. The film is a Korean remake of the Japanese film "Key of Life" by Uchida Kenji. But in "Luck-Key," the story that develops after the identities of the two guys are switched is quite predictable and there are many holes in the plot. For instance, how can Jae-seong's neighbors, including the landlady of his rooftop home, not question the presence of a stranger who is far older than Jae-seong? Its ending is close to an unreal fairy-tale story that everyone enjoys. The film directed by Lee Gae-byok weaves from comedy to drama with ease thanks to Yoo's nice balancing act putting it all together. The movie is definitely lightweight, but it has something of an edge in the writing you don't normally see in this kind of movie. It tells about the true value of love and happiness through the lives of the two men. In this regard, "Luck-Key" is the perfect gift for the entire family, and that's certainly not a bad thing these days.